Professional Development OASLI is committed to providing professional development opportunities for interpreters. Please visit our PD page for a listing of upcoming workshops. 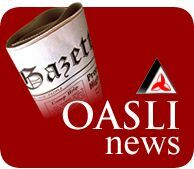 Visit our Upcoming OASLI Workshops page. OASLI-Sponsored Community Events In support of OASLI's mandate to encourage ties between the Deaf and interpreting communities, our members host OASLI-sponsored events throughout Ontario. OASLI-sponsored events and workshops are posted on our Facebook and Twitter accounts. Also click OASLI's Calendar of Events for upcoming events.